BlueScope and Nippon Steel, Australia and Japan’s biggest steelmakers, have announced a $1.4 billion joint venture in a bid to capture greater market share. Australian firm BlueScope has agreed to sell 50% of its South East Asian and North American building products business to Nippon for $540 million in cash. The proceeds are expected to help ease BlueScope’s debt burden. BlueScope shares rose as much as 50% in Australia after the deal was announced. “The proceeds received from Nippon Steel Corporation will afford BlueScope further financial flexibility and balance sheet strength to continue to grow businesses delivering strong returns,” Paul O’Malley, managing director of BlueScope said in a statement. BlueScope has been going through a rough patch in recent times. One of the key reasons has been the rising Australian dollar. The Australian currency has strengthened almost 11% against the US dollar since October last year. A strong currency has made its products more expensive for foreign buyers. At the same time, it has also made imported steel much cheaper, which has impacted domestic demand. As a result, BlueScope has mostly stopped its exports from Australia, shut down a blast furnace and announced production and job cuts over the past year. The firm said that it expected to report an annual loss of almost one billion Australian dollars ($1.05 billion) for the financial year ending 30 June 2012. 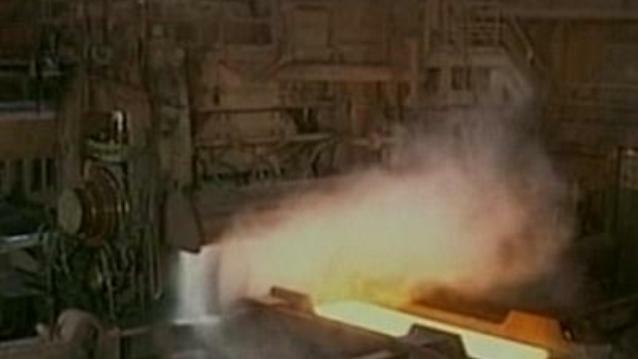 However, it said the deal with Nippon Steel was likely to help it to turn things around. “This is a significant new platform to enhance our growth opportunities in some of the fastest growing markets in the world,” said Paul O’Malley.